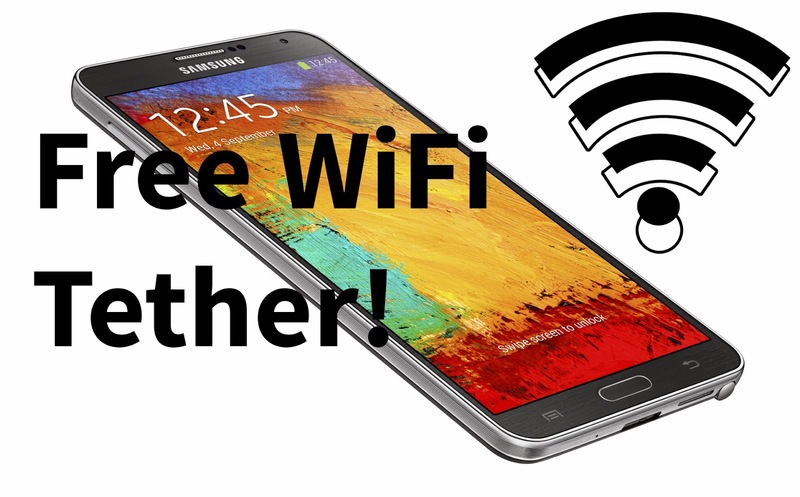 How to Get Free WiFi Tether for AT&T and Verizon Galaxy Note 3! - No Root! ~ AndroidRootz.com | Source for Android Rooting, ROMS, Tricks and More! How to Get Free WiFi Tether for AT&T and Verizon Galaxy Note 3! - No Root! Carriers are constantly finding new ways of draining our pockets by charging us for every single thing, even if it doesn't make sense. One of the biggest issue is how carriers charge their customers for WiFi hotspot even when their paying for the data! Using the method down below you will be able to get free WiFi tether for the SM-N900A AT&T and SM-N900V Verizon Galaxy Note 3 all without rooting your phone! Follow the guide below to get free WiFi tether for the Galaxy Note 3 SM-N900A AT&T and SM-N900V Galaxy Note 3. 1. Go into Settings > More Settings > Mobile Hotpot. Select Mobile Hotspot without turning it on! 2. Tap on Configure and put in your password, SSID network, etc. 3. Download Hotspot Toggle Widget from the Play Store using the link below.